Does churnalism damage your wealth ( and your pension)? 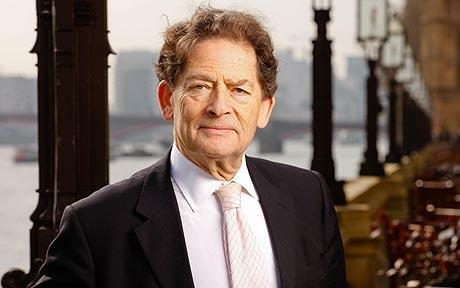 I am not a natural fan of Nigel Lawson. I didn’t agree with his slashing the higher tax rate when he was chancellor. I don’t agree with his views on climate change. I am sceptical of his Eurosceptism. (though I think there is a major democratic deficit in the EU). Yet in an interview I did for Exaro News (see http://bit.ly/vOq5Ap ) he makes a rather clever observation about the relationship between the current market turbulence and the standard of reporting by journalists. He says the combination of superficial reaction by the markets to the growing crisis in the Eurozone and the unquestioning nature of journalists covering current financial events in Europe is making a bad situation incredibly worse. What he says is that journalists reporting the recent crisis in Greece and Italy – produce instant reports to meet a 24/7 agenda that are superficial and proved wrong within 48 hours. The practice of this press release journalism – known as churnalism – is brilliantly dissected by my friend Guardian hack Nick Davies in his book Flat Earth News. The market traders – equally superficial also working to that same punishing 24/7 schedule believe the press headlines and make equally wrong calls – pushing shares, currencies and debt interest rates up and down like a yo-yo. You might say so what – it’s only a game played by a load of overpaid market gamblers and equally (sometimes) overpaid superficial hacks. But there is a very serious point. With the demise of the final salary and public sector pension – hundreds of millions of people are relying on their future wealth and happiness on investments made by these people to fund their lifestyle in their old age. It does not help anybody but the most extreme speculators that these are now subject to such superficial judgements and reporting. The losers are the general public, you and me, who could have even lower returns from market madness. Lawson’s point suggests the need for some mature market traders. It also makes the case for the relevance of real journalism and proper analysis. Another good reason why we need good reporters who have time to think and look beyond superficial statements and gloss made by politicians, both in the media and the blogosphere. Otherwise it could cost us a lot of money. This entry was posted in media and tagged churnalism, eurozone crisis, market traders, nigel lawson, pensions. Bookmark the permalink.